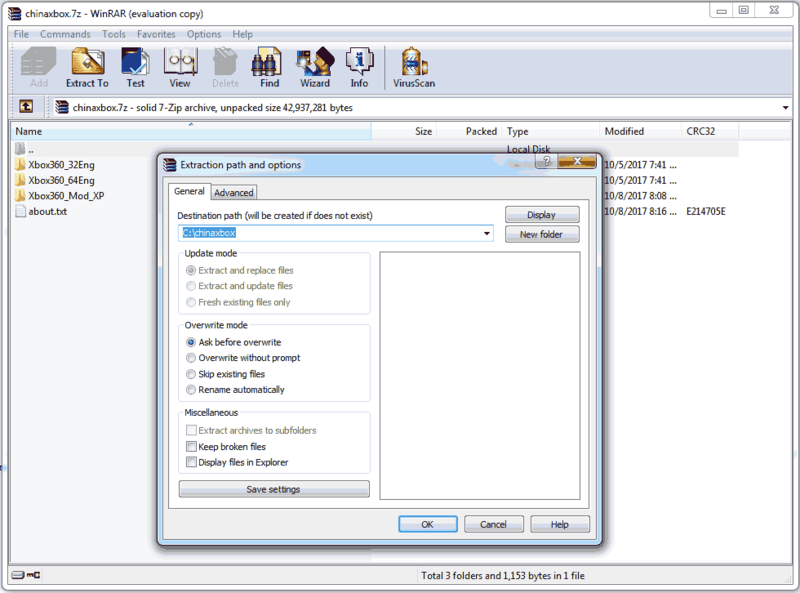 The archives were changed from a .zip file to a .7z or 7-zip file. Also, all versions of the Xbox driver has been consolidated into a single 7-zip archive as an all-in-one download solution. All procedures remain the same as you can extract with WinRAR down below. 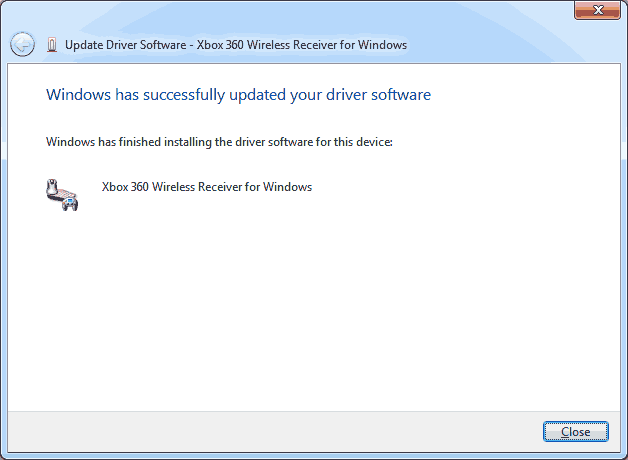 Xbox360_64End – This is the 64 bit version of the Xbox Driver for those working with Windows 7 64-bit, Windows 8 64-bit, and finally windows 10 64-bit. Xbox360_Mod_XP – This version is made specifically for windows XP 32/64 bit and Windows 7 32/64. This not only works on windows XP to get the driver installed but eliminates the annoyance of having to reload the driver every time you unplug your wireless receiver and plug it into a new port. 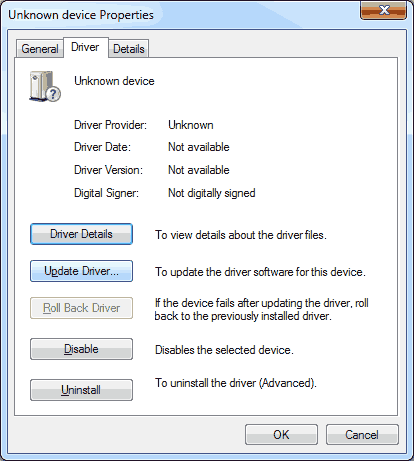 The downside of this modified driver is it breaks the signature and thus doesn’t work on Windows 8 and Windows 10 unless your disable signature enforcement. In this example we will be extracting to the root of the C: Drive. You can place it anywhere so long as you remember the location of Xbox360 installation folder. Click on the start button at the bottom left corner of your windows screen to access the start menu. If you have not already done so. 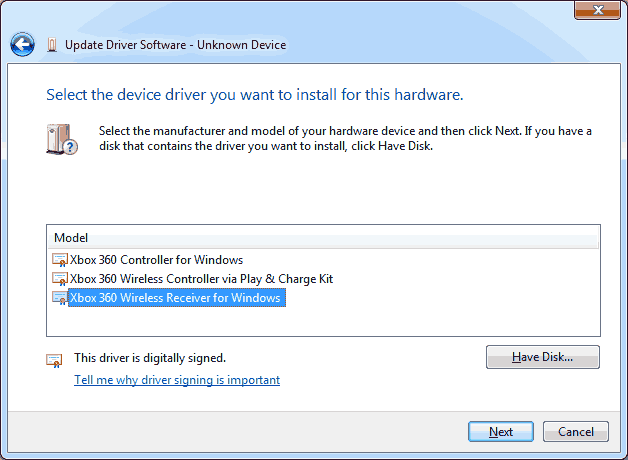 Plug in your Xbox 360 Wireless receiver adapter from china and it should show up as just an Unknown Device. 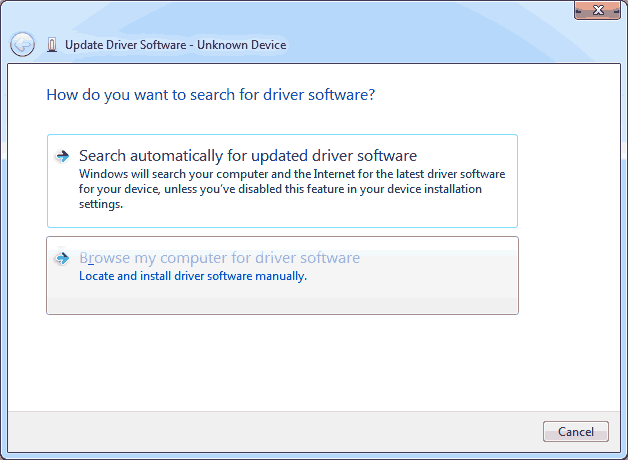 Once in the Unknown device Properties; Select the driver tab on the top and press the Update Driver button. Click on Show all Devices and then click the Next button in the bottom lower right to continue. 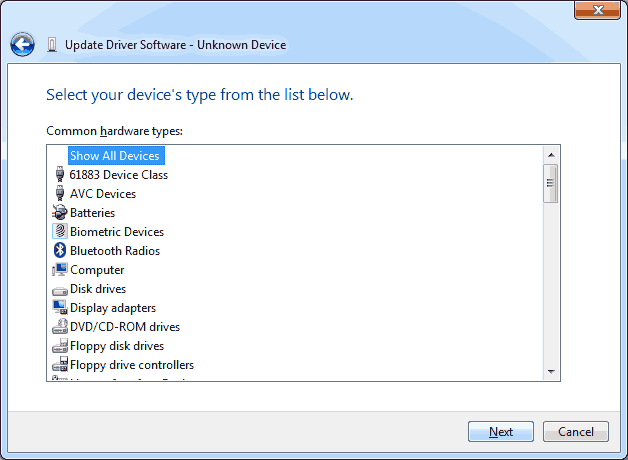 You do not need to wait for the system to retrieve a list of devices, simply click on the “Have Disk…” button to continue. 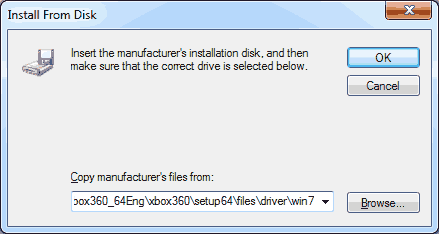 From here it will state that it wants to install from the A:\ drive under “Copy manufacturer’s files from” at the bottom of the window. remove that and paste this in its place. Alternatively you can click the Browse button and manually navigate to the folder if you unzipped it to a different location then I did. You should be now approaching firmillar territory with the original blog where you can now select the Xbox 360 receiver for windows. Select that and if necessary click the next button. 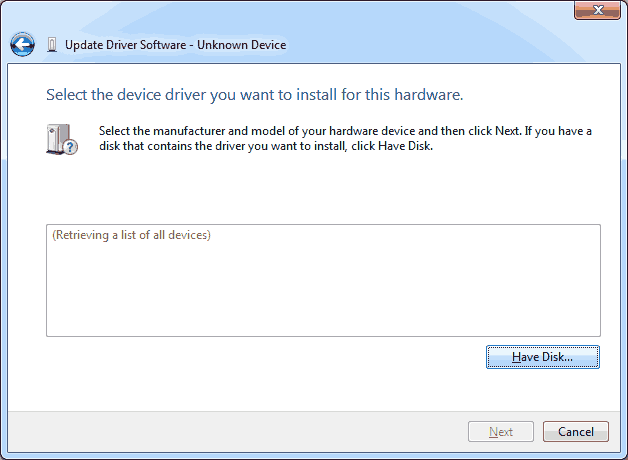 Finally click yes to begin installing this driver. 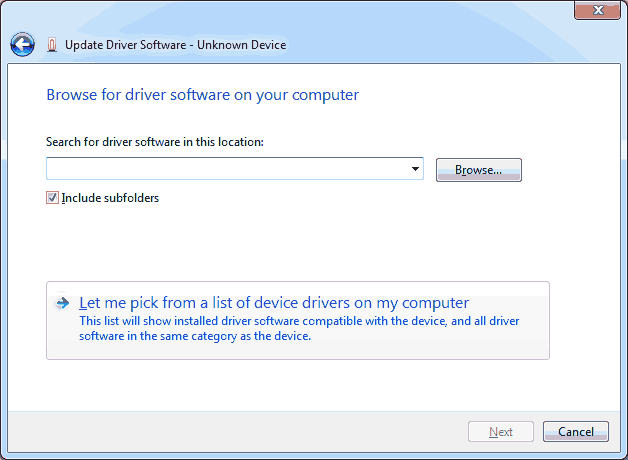 If you see this and there is no errors in your original device manager after you click on the close button. Then you are set and you may proceed back to the original blog dealing with the installation of the xbox 360 Receiver adapter for the PC. Thank you for visiting my blog! May you have a wonderful day where-ever you may be! What does your hardware ID report your receiver as? 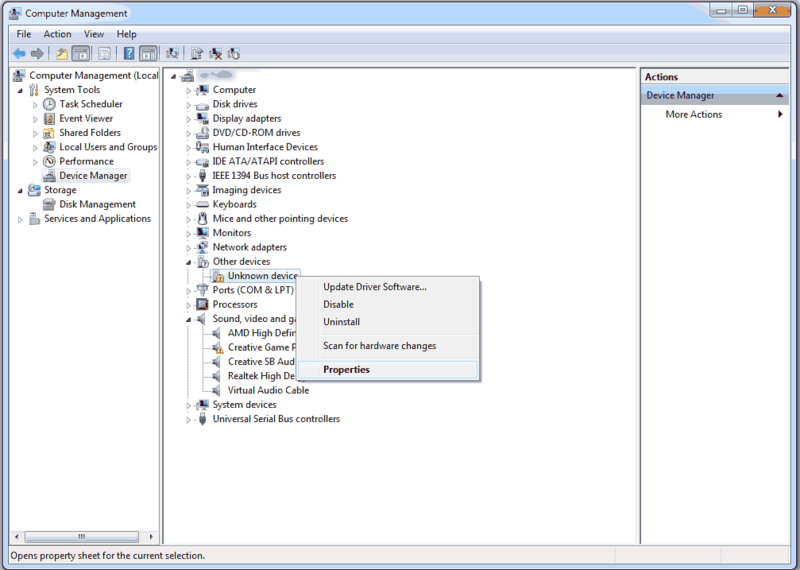 Right-click on the unknown device and click properties. Click on the details tab and change the property drop-down back to Hardware ID’s. when i enter that after doing everything, it tells me that theres nothing there compatible with my device? Okay, you were getting an unknown device. was it emitting a hardware ID? to check this you can right-click properties, then over to details, and use the dropdown window to go to hardware IDs and it should emit something like USBVID_045E&PID_0291 . if it’s all 0’s or question marks then the USB bus is not picking the hardware ID up. Also, what OS are you working with? If it’s XP you can use the drivers-only download i have https://www.s-config.com/dl/bin/xbox-driver.zip .